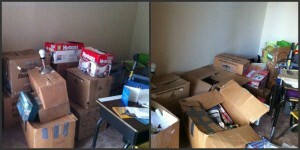 It’s very tempting to just start opening boxes, but I started in one corner and I’m working my way through the room. Some things are going back into a “catch-all” box because I don’t have furniture or empty plastic bins to keep my keepsakes in. Like the dolls that a family friend and my grandma made for me when I was little. The books that I have saved from my childhood to give to my children are finally resting in my children’s bookshelves. It doesn’t look like much, but here is my current progress. There won’t be another post for a couple days because I have to work today and part of tomorrow so not much cleaning will get done. 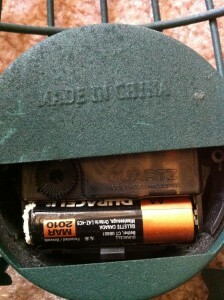 This entry was posted in Life and tagged cleaning out, decluttering, memories by Amanda Beaty. Bookmark the permalink.